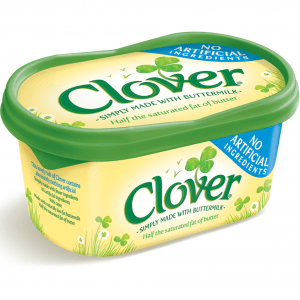 Get yourself a free tub of clover spread by printing off a £1 coupon from their Facebook page. Take this coupon to nearest Morrisons and claim your free spread. The tub is prices at £1 so the money-off coupon will cover the cost. Click on “GET IT HERE” button and follow instructions on next page in order to get your money-off coupon. There are a total of 10,000 coupons to be given away.